Alhamdulillah we have been memorizing the suah at-takasur. When kids are memorizing a new surah, we go through the meaning and tafseer i.e explanations (according to their level). I was listening to the tafseer today so that I can learn about the surah and pass it on to our kids. I hope you all are doing great by the Grace and Mercy of Allah subhanahu wa ta'ala. I have been quite busy last couple of months. The last post I did was in February 2014! I don't know where the time went, subhanallah! I have been missing blogging :-( I hope I can start again and be a regular blogger inshaAllah. 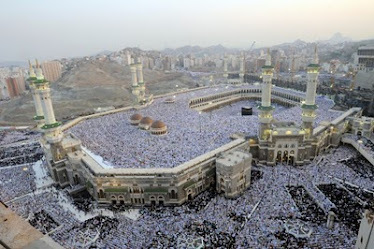 It's the month of Rajab, one of the holiest month of Islam. One more month till Ramadan inshaAllah! I am eagerly waiting for Ramadan. Let us pray just like our beloved prophet Muhammad sallallahu alaihe wa sallam witnessing this month of Rajab, Allahumma barik lana fee rajab wa sha'baan wa ballighna Ramadan which means O Allah , bless us in this month of Rajab and Sha'baan and let us reach the month of Ramadan. 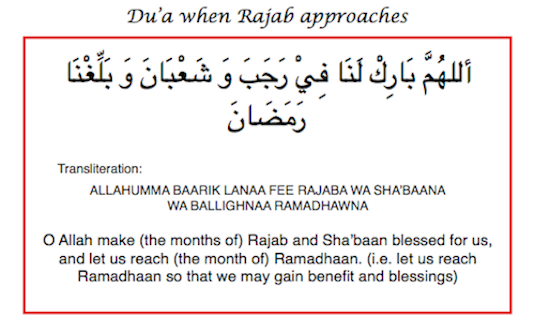 The month of Rajab can be the month to start preparing for Ramadan inshAllah. Our predecessors, the salaf, used to prepare for Ramadan six months ahead of the month and used to pray for the acceptance of their deeds carried out in Ramadan, for six months after the Ramadan. Their life revolved around the Ramadan. One of my teachers (ustadha) keep reminding us that Ramadan is not the month where we start our good deeds but the month when we INCREASE our good deeds. For example, instead of just starting the recitation of the Qur'an during Ramadan, we can start reciting the Qur'an from the beginning during Rajab and get into the habit of recitation so that by Ramadan, it will be lot easier to complete the recitation of the Qur'an in Ramadan inshaAllah. Recitation of His Book is no doubt a very rewarding deed. But understanding and following the lessons of the Qur'an ARE also a very important aspect of a Muslim's life. When we read a book, we read it with the purpose to understand it, to reflect on it. The Qur'an is the BOOK which is not just any ordinary book or novel, but THE BOOK for us Muslims. We know that this is our Rabb Allah subhanahu wa ta'ala's WORDS, a living miracle for us. How can we afford to "recite" but not read with understanding?!? Our relationship with this Book will decide whether we can gain our Lord's Mercy and Pleasure. Ramdan is the month when this great book was revealed to our beloved prophet Muhammad salllallahu alahe wa sallam. This is also mentioned as a month of the Qur'an. Do we know the main reason of fasting through out the month of Ramadan? To gain taqwa, God-consciousness.